Ancient India was a hub for international trading accounting for a large chunk of overall international trade in the world. Somewhere down the line, ‘country’ lost its apex position in the world trade share. Today India is trying hard to regain its lost glory at least in the international maritime trade. 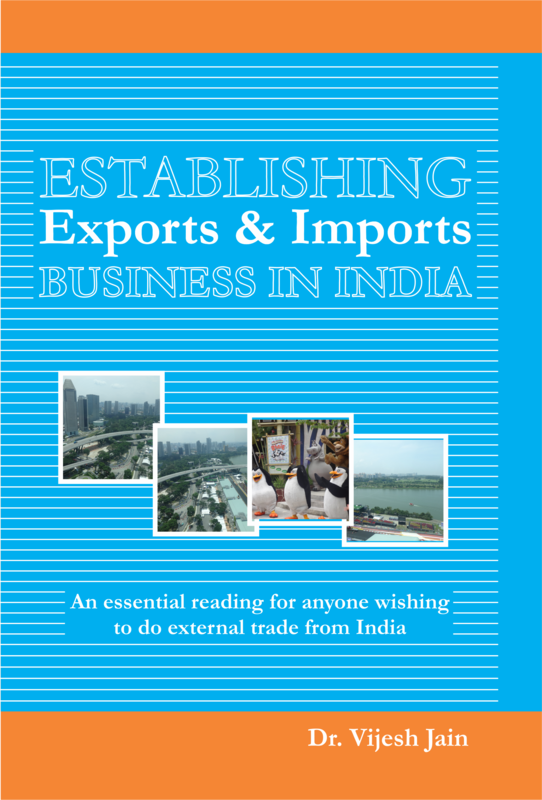 This book is a text written in most simple language for sharing personal experiences and knowledge earned through the author’s long career in international business, with anyone who wishes to set up exports and imports business in India. The book contains everything a new international trader must know, including international trade procedures and documentation commonly used in India. The book also contains useful sources of international information and help, a new exporter requires. The book can also be good reference book for seasoned exporters and importers to understand the concepts and significance of important exports and imports documents. As a simplistic account of international business environment, international practices, international shipping practices and international payment methods, this book may also be suitable for IB students at post graduate level. Several theoretical and practical aspects of international trading, trade theories and practices are also explained pictorially also wherever possible. The book also contains frequently asked questions at the end of each chapter where the questions relate to common doubts a new exporter are answered. Back of the book index contains important links to the pages containing important topics covered in this book. The chapters are arranged in a manner that a new international trader will be well prepared for subsequent chapters once the previous chapters have been understood by him. The book also refers to several Acts and Regulations in India which govern the exports, imports, shipping, customs, banking, and risk management apparatus in the country. These ‘Acts’ have their own history of promulgation and are updated in the country from time to time based on the specific needs and requirements of its economy and way of life. More importantly institutional framework of international trade, which is unique to India, has been discussed. These institutions under the Ministry of Commerce and Industries play important roles in managing exports and imports in India. At the same time role of RBI is also discussed in terms of its resolve to carry out exchange control functions in the overall external trade of the country. The book also describes shipping practices, types and nature of typical international cargo and types of common vessels and carriers available in international shipping. The book also discusses in detail about the process and methods of obtaining Marine Cargo Insurance. At the same time a section is devoted to discussing the precautions one must take while buying Marine Cargo Insurance. In between book also discusses various methods of international payments and their merits in the international trade payment system. The text tries to clarify the advantages and disadvantages of different types of international payment instruments in specific situations. In the same section role of international banking system is also discussed. UCP is another area which is discussed in this section. At various places in the book, references to import procedures and documentation are discussed. More importantly an understanding of duties and tariffs applicable to import goods are given along with a description of various types of duties levied by Indian customs. At the same time an explanation is given to important terminology used in importation of goods in India. Some of the chapters in the book also discuss the theoretical aspects of international trade with an historical account of different international trade theories propounded by several economists of their times.